Remember that masterfully painted David Hockney Los Angeles pool paintings? 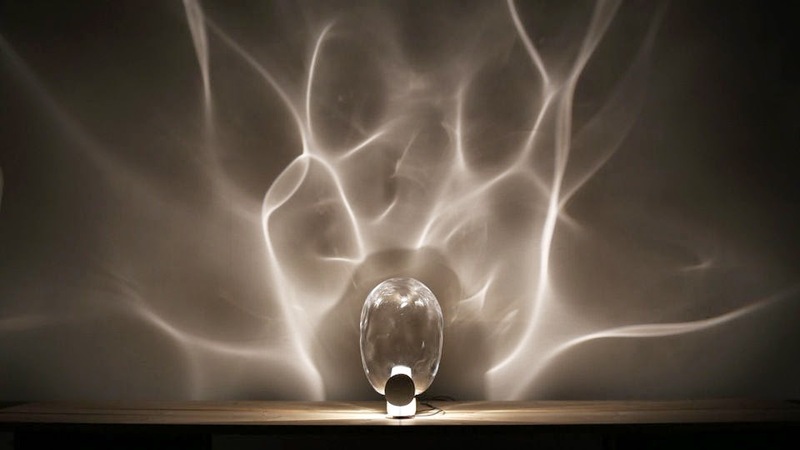 Well, Poetic Lab came up with Ripple lamp to give you that ripple effect on your wall. I guess a much cheaper way to obtain that ripple effect than buying a Hockney painting! LOL. How the ripple is created is by having one stationary dome projecting light through a larger slowly rotating dome. Naturally the domes are all handblown crystal. Get yours at Stillfried. Tire of your normal doorlock? Valentino table made by Valentino?